Does anyone of you who, the TIG frame has welded chance at Fat 1984? Were there different welders or Chris had only one? Scott B mentioned those were just before his time & would have been a result of Chris getting together with Gary. 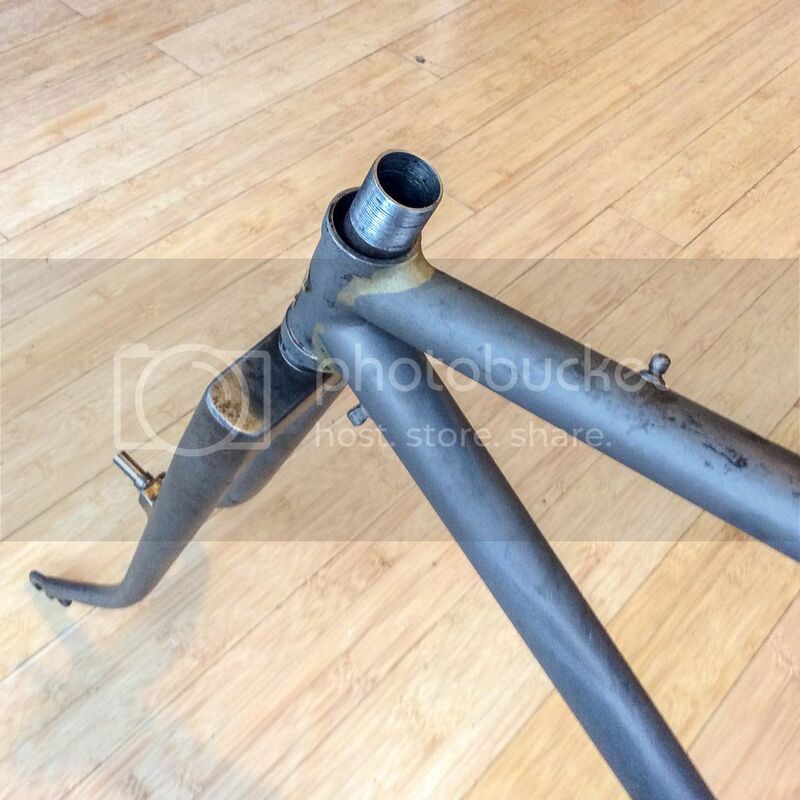 My 84 is half Fillet Brazed, half TIG, with some odd details. Seems like an early work in progress. Pretty neat. To my knowledge, Gary Helfrich performed all of the TIG (and plasma) welding at Fat City before departing to start Kestrel Metalworks (later Merlin after he lost the lawsuit). I was hired in November 1986 and worked part-time during the day until June 1987 when I went full-time with FCC. Chris also hired another guy Bill (last name escapes me) who was working at a machine shop in MIT to weld and he worked part-time in the afternoon and evening. I think he only stayed maybe 4 or 5 months and was gone by the time I decided to go full time. Chris Igleheart came along right around that time as well, if the smoky memory serves . Mike P and Bob Fulk were doing the silver brazing of the small parts at that time. I don't if any of them tried TIG welding or not. I've heard it said that Chris would sometimes braze over Gary's TIG welding around that time. That's certainly possible and it would have the effect of tempering the TIG weld bead underneath depending on the temperature reached during the brazing process and how long the temperature was held. For thin-walled tube, the hold temperature would not be very long and it is possible that fillet brazing with a brass filler would get the temperature up at least close to the stress-relieving temperature. Most likely though, it was done for aesthetic purposes. 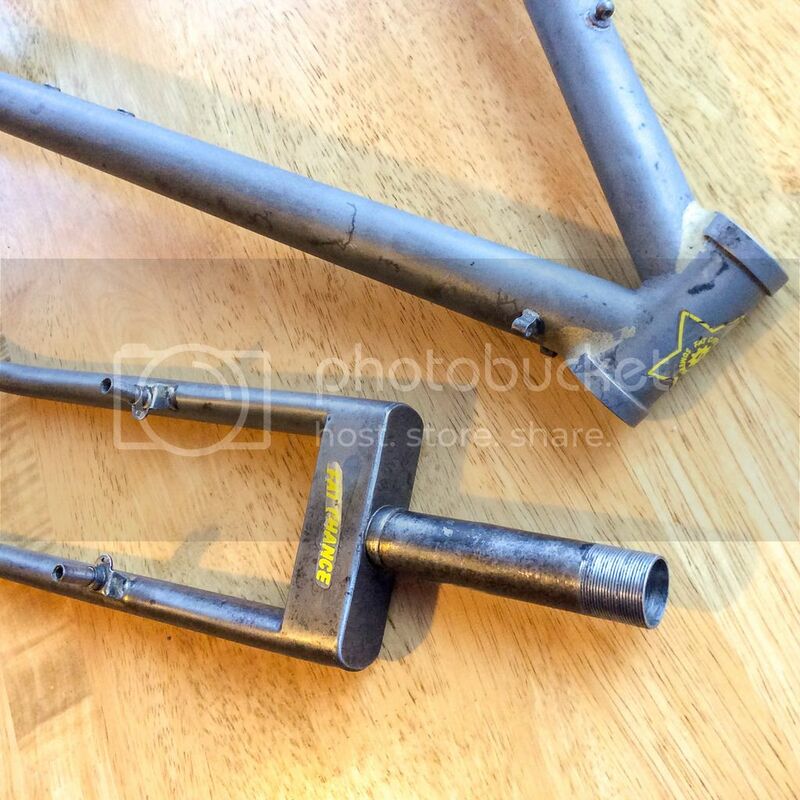 Gary's welds looked decent to me but the culture shock of seeing TIG beads on bicycle frames at that time may have put off some buyers. I welded almost everything made at the Jerry's Liquors annex, so it's almost certain that an '84 is one of mine. All times are GMT -5. The time now is 7:31 AM.